HomeOrgano GoldHow much does it cost to join Organo Gold? If you are considering to become an Organo Gold distributor and to make money with Organo Gold then you are for sure wondering how much it cost to join Organo Gold? If all you want to do is to buy products from Organo Gold I will write a few words about that as well! 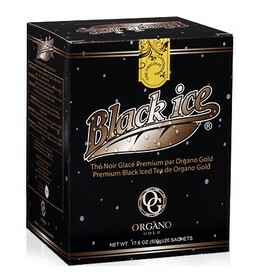 Let me first start with prices for normal shopping from Organo Gold, without any sort of membership or price of joining! If you want to buy products from Organo Gold then simply visit their website, create your own user and choose that you want to be a retail customer. After filling in the forms you will be taken to the web shop and you can start shopping Organo Gold products right away. Here are the retail prices, which are normally the same in Euro and in Dollar. These are some of the prices for buying Organo Gold products at retail prices. But I never actually recommend buying at retail prices, because you will actually save money by joining Organo Gold as a distributor, at least if you plan on buying more than 2 boxes of tea or coffee. To actually join Organo Gold, that is becoming a distributor, there is a one time fee of 45 Euro or 45 Dollar that you need to pay. In this distributor kit you will in fact receive product samples which has a value of about half the price (more than 20 Euro/Dollar), meaning that it has a great value in itself. So there is a cost of 45 Euro to join Organo Gold as a distributor, but once you have this privilege you will be able to buy at much lower prices. Just take a look at some of the distributor prices you can enjoy on the same products as mentioned earlier. 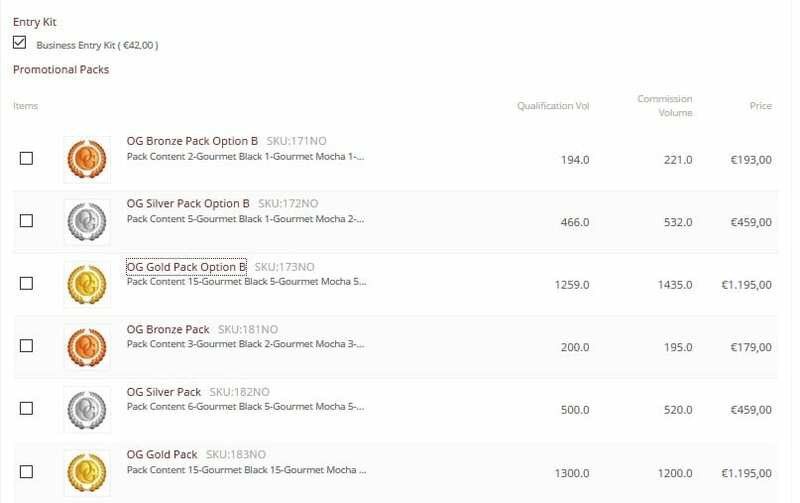 As you can see there is lots of money to save joining Organo Gold as a distributor, and with this privilege costing you 45 Euro you can buy the products at distributor prices. If you want to make money with Organo Gold, read on! 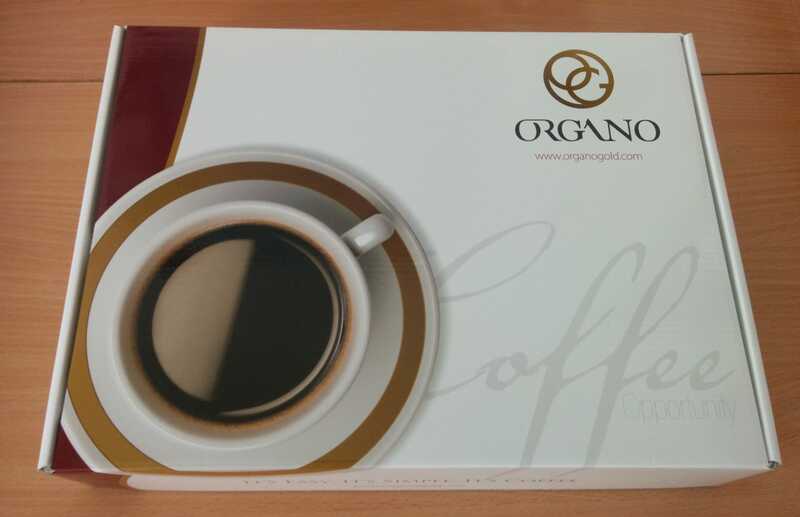 If you do not only want to drink these healthy and delicious products from Organo Gold, but actually want to make money with Organo Gold then you should know that the distributor package from Organo Gold costing 45 Euro is not enough, but you will need to get yourself a bronze, a silver or a gold package in addition. Buying such a package in addition to the distributor kit will give you a big amount of products and in addition give you the right to different levels of commission from sales made by or through people you bring into the Organo Gold network. There are three different packages, the bronze, the silver and the gold package, but if this is something you consider, then you should read my article on the three package types and in which I also give advises to you as to which one you should choose, based on your vision, dream and wallet! I hope this article has helped you finding out how much it costs to join Organo Gold and to enter this interesting empire of brilliant coffee and tea products, all full of the very healthy lucidum ganoderma mushroom. I hate to say it again, but try it yourself and I do believe you will enjoy it. You can visit the Organo Gold website pressing the link beneath. Your first step is to create your user, decide whether you want to join as a distributor or a retail customer, and then you can start giving your information and you may in fact have joined Organo Gold in less than 10 minutes from now! Have fun!